Just a few decades ago, phones were considerably larger, and they had to stay plugged in. Communication was forever changed when that technology was miniaturized, allowing us to carry our phones in our pocket. Taking that trend even further, Smartphones were developed. Evolving past the simplicity of their earlier incarnations, these devices have become multi-platform consoles. As a result, all websites must adapt to this new dynamic landscape. By not featuring a fully responsive interface, a business can risk alienating a large portion of its target demographic. Both the Admin Panel and the page itself must be fully-responsive, capable of supporting hand-held devices. For those who wish to establish and maintain a successful web presence, Bootstrap is an ideal choice. It simplifies mobile-first web design, and makes it very user-friendly. It has a large roster of components, tools and patterns, providing support for frontend developers and web designers. This prolific front-end framework is definitely a game-changer. You can use Bootstrap admin templates for any type of product, application, or site. As a result, many administration panels can accommodate all customers. 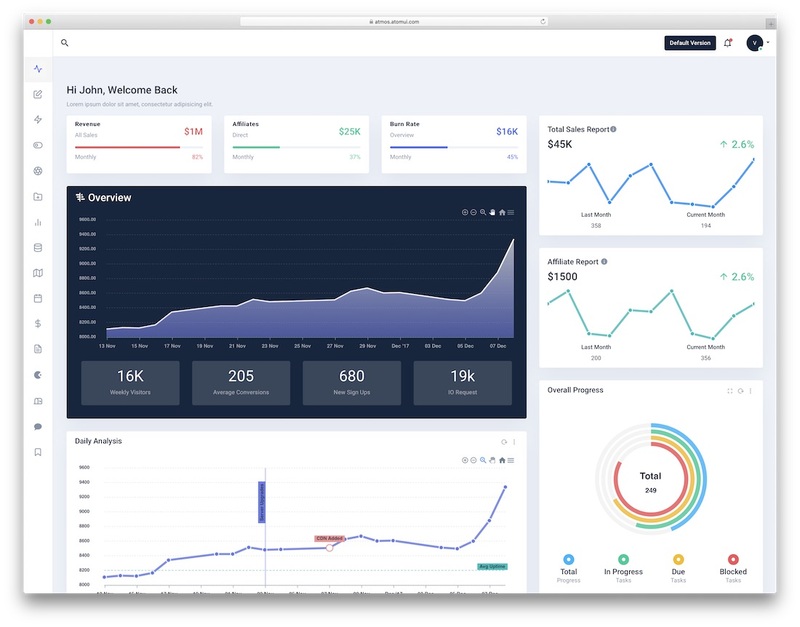 You don’t need to be an expert in order to run an online business, given the streamlined administrative front-end capabilities of these panels. Below you can see awesome HTML5/CSS3 Bootstrap admin templates for web apps and other professional looking website backends. 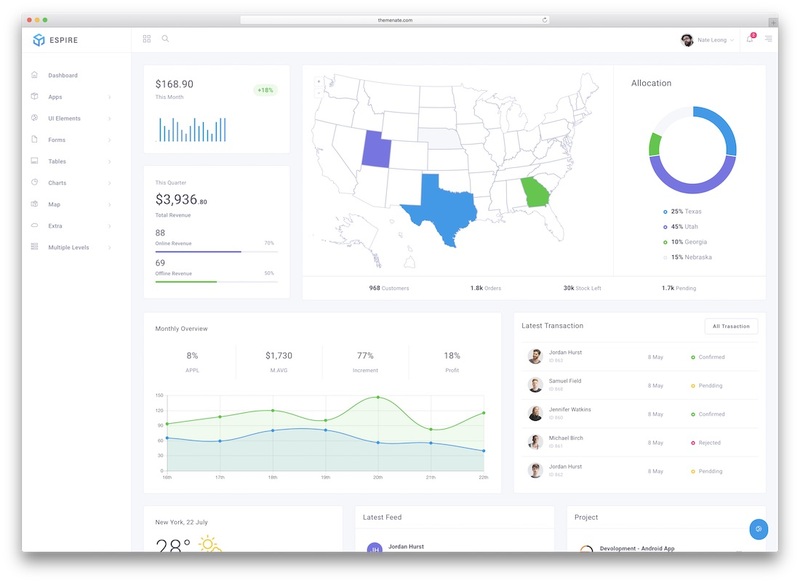 Modern Admin is nothing else than a contemporary Bootstrap dashboard template. It is entirely flexible, extensible and adaptable to fit your online project to the single smallest detail. In the pack, you will find seven predefined layouts for a broad specter of users and needs. Everything is organized and commented to perform any additional improvements and customization smoothly. In the Modern Admin package, there are over 1500 pages, more the one thousand components and tons of other features and elements. On top of that, the template also supports RTL languages and comes with email, chat and scrumboard applications. Different layouts, advanced cards, fonts and colors, the list of goodies goes forever. It is time for the action and start working on your web application fully equipped. You might already found yourself the best admin template. 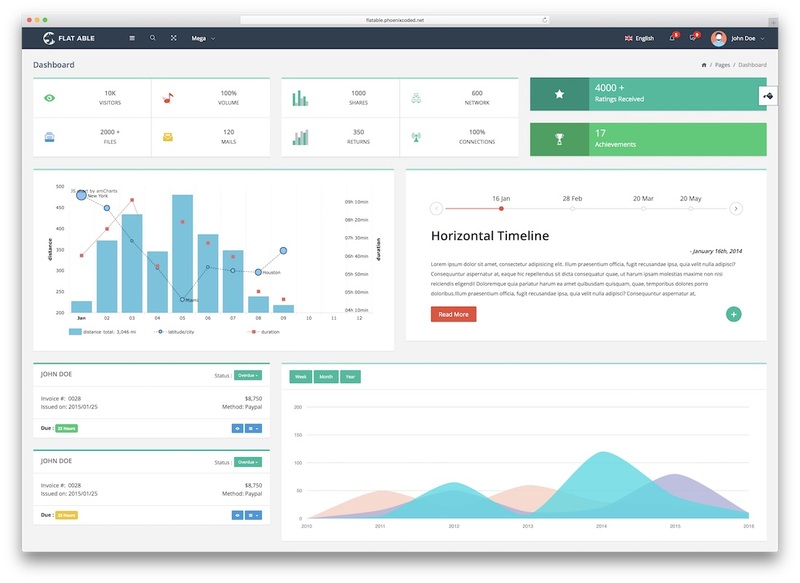 Apply is a neat and sophisticated bootstrap admin template with eight layouts and an addition of dark and RTL versions. In the bundle, there is something for every taste. Still, even if a particular demo does not follow your requirements precisely, make sure you edit and modify it. Indeed, Apply allows any customization tweaks, so you get the most out of it. The content loads using Ajax and the transitions are executed smoothly for the top-notch experience. Apply uses lazy load for loading elements and makes building charts a simple task. Use animations and visualize your data in a unique way. Last but certainly not least, Apply is responsive and cross-browser compatible to work on mobile and desktop flawlessly. The application experience will be like none out there. Do things on a large or a tiny scale with Bracket Plus Bootstrap 4 admin template. The design, of course, is of the highest standards and up-to-date. Bracket Plus uses all the latest technologies and makes crafting the admin for your web applications effortless. However, while web design is one part of the experience, performance and usability are the second half. With Bracket Plus, all is in the best order, delivering a clean look and solid features. Owner and users, all will be fascinated by the amazingness of the final product. To kicks things off as fast as possible, select one from eight predesigned demos and start from there. Bear in mind, there are new variations set to drop in the future so stay tuned. 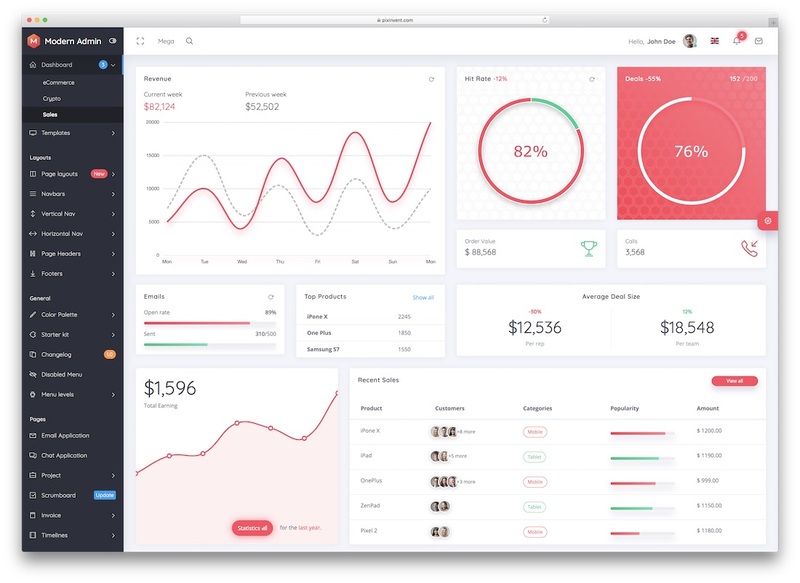 UI element skins for date picker, file browser and range slider, ultimate dashboard cards and eight different charts, Bracket Plus is a powerful item. 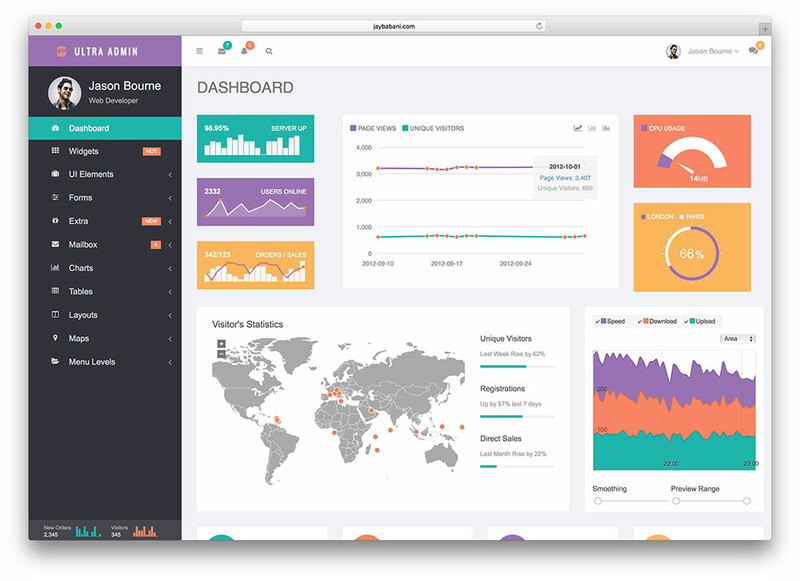 You do not have to be an expert at building web application dashboards when it comes to Bootstrap admin templates. These tools have a ton of pre-built material for you to save you time and effort. In the modern age we are living, there is no need to create things from scratch. With the available web design, you can see the same successes just that you can experience them way sooner. Adminca is one of many outstanding products that will realize your idea and help you scale it. Responsive, in-depth documentation, fully customizable and quality support, with these characteristics alone, you know that Adminca is a serious deal. However, there is loads more to it that will leave you in astonishment once you face with it live. There is no need to wonder why AdminPro is named the way it is. The level of professionalism is the highest and it is you who can take it all to your advantage. Use AdminPro to its full potential and unlock an entirely new world of possibilities for yourself. 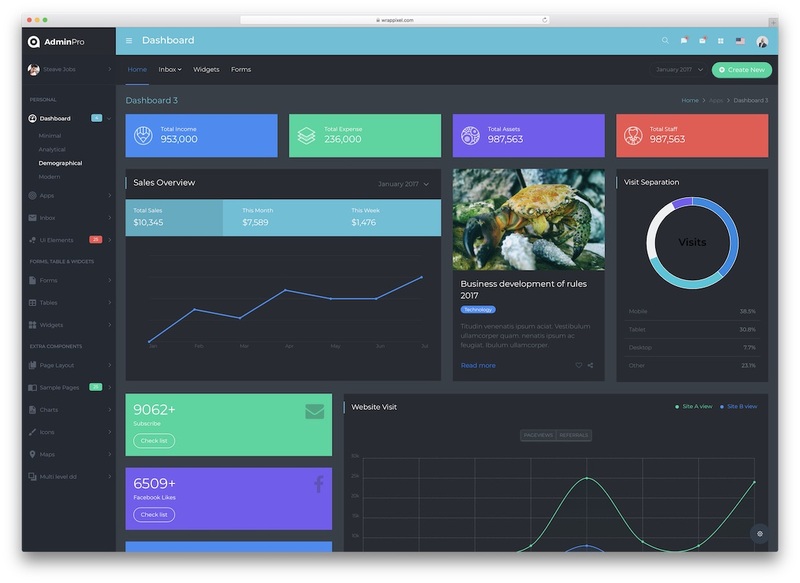 With this web app UI kit, you can do many things and apply it to almost any industry. 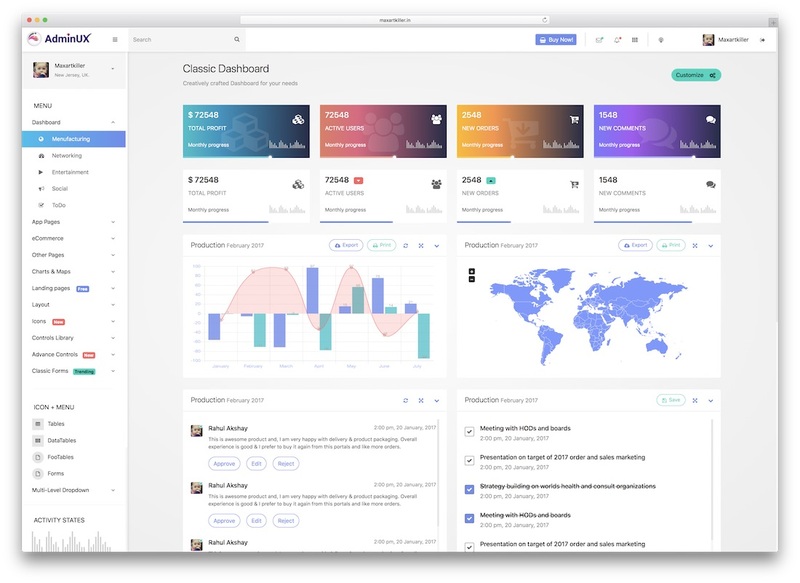 To go straight to the business, AdminPro has countless ready-to-use material, six color skins, dark and light sidebars and more than five hundred UI elements. Three-level drop-down menu, charming calendar, gallery, regular updates, documentation and support, AdminPro is one package with many features. Chances are, you will not even need to create anything yourself and use only what is available. Style for miles and performance of the highest levels, that’s how Espire roles. 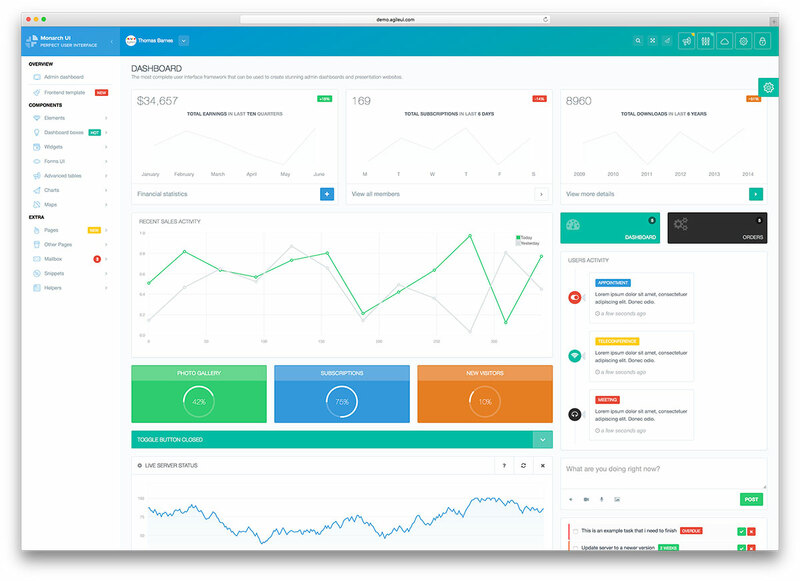 It is a Bootstrap admin template with a pixel perfect and fully pliable design. 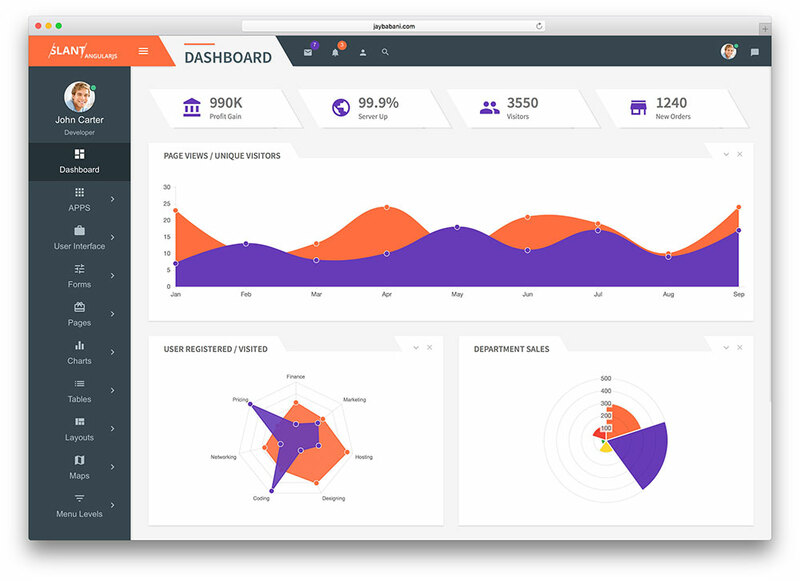 Meaning, your admin and user dashboard will fluently readjust to smartphones, tablets and desktops. Mobile users are especially crucial in this day and age and Espire is very well aware of it. The Espire package includes both Angular and HTML5 versions but reading this article, the latter is the important one. While the features are vast, let’s speak about some of the key ones. Clean and commented code make Espire a template that is easy to adjust and tailor to your exact needs. Moreover, Espire comes with six color presets, dark and light sidebars and RTL switch. You are not that far away from developing a top-notch web application with any of these best Bootstrap admin templates anymore. TheAdmin is a handy product with numerous components and a mobile-friendly layout. The web design is modern and elegant what makes checking out stats always a fun experience. Create custom layouts for your exclusive web app and take it to the next level. Charts, chat app, quick view, mailbox, progress bar, you name it, TheAdmin helps you create whatever you fancy. The features are there, carefully arranged in the TheAdmin kit. You only need to unbox them and start using them straight away. TheAdmin is developer friendly and gives all levels of coders a chance to build extraordinary things. 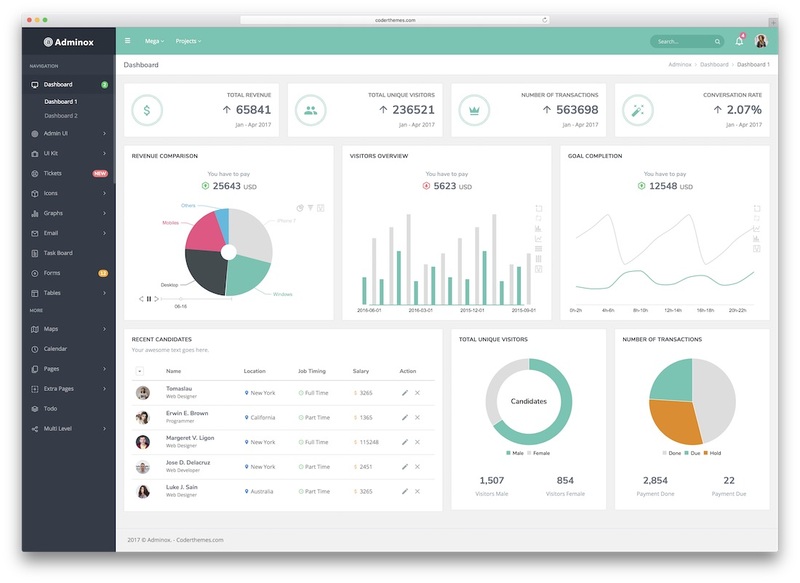 Some of the Bootstrap admin templates are so insanely amazing, you need to see the live demo to believe it. Just like Admin Press, all the others you better go and see them in action if you have not yet. You can play around with different features and see what is possible. In short, a lot! Countless features and elements, spectacular characteristics, new technologies, they have it all in store for you. Admin Press template is based on Bootstrap 4 and comes with five demos, including dark and RTL varieties. Six different color presets, widgets, gallery options, drop-down menu, calendar, you see, Admin Press is big. And this is just a tiny percentage of what is at your disposal. You might even unlock something secret and powerful on the go which will surely be a pleasant surprise. When scouting the web to find the best back-end templates, you are after those which offer the most complete solution. Indeed, you do not have to look elsewhere to find such product. 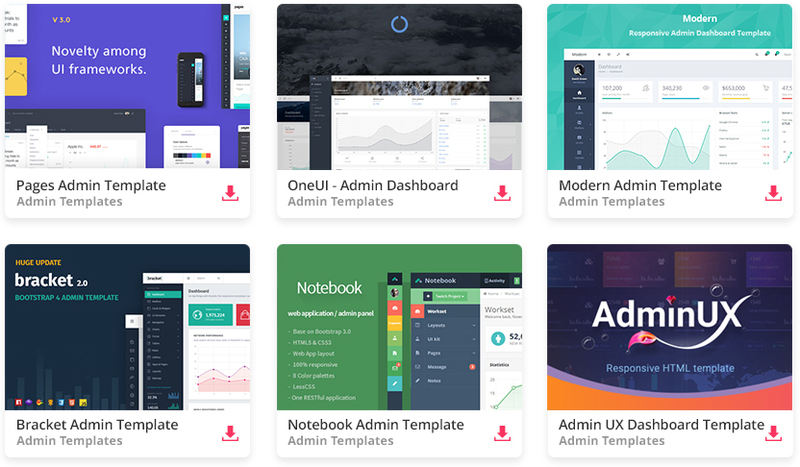 We collected them all by hand and compiled this first-class collection of the most valuable Bootstrap admin templates. Monster is a real giant amongst the dashboard templates with a mountain of predesigned content for your convenience. Five dashboards, six demos, five hundred UI elements, seven hundred pages and twelve color schemes, I know, there is a lot of stuff going on. What all this tells you is that you will need to invest barely any time to finalize your project and make it go live. Choose Monster template and reach first goals way sooner than you initially planned on achieving. Be a frontrunner in any industry with Veltrix. 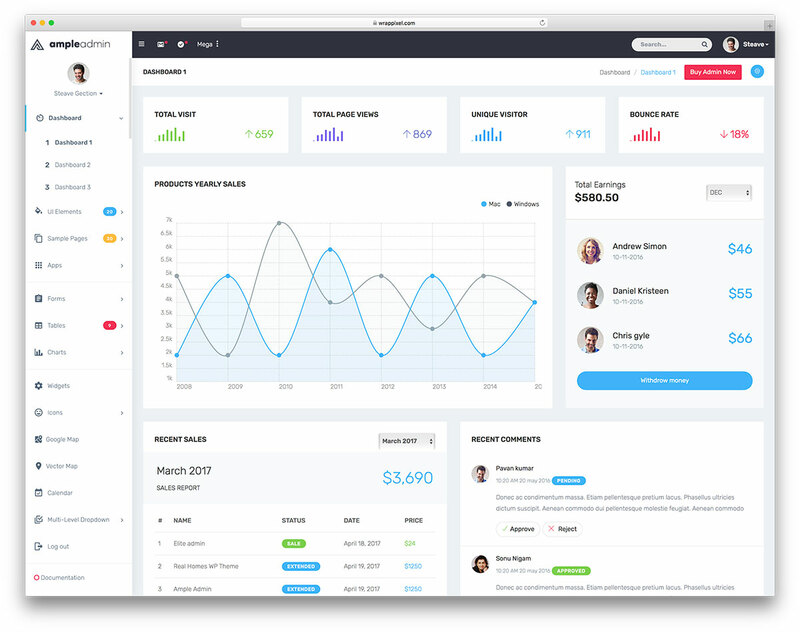 This Bootstrap admin template has all the makings to serve different business websites, projects, application and software. It features ready-made content in the best way possible both for the creator and the user. Select from various layouts, dark and light looks, pages, chart, fonts and more to take advantage of your web design. There are also login, register and error pages included in the bundle. If you would like to step things up, you can do so by sprucing up Veltrix’s layouts and features. In other words, you can customize and fine-tune the default web design effortlessly. Additionally, this template has social media, invoice, calendar and Google Maps features that enable you to extend viewership and visibility. Besides, Veltrix also fully supports RTL languages. There’s more to find so try Veltrix now and you will never need to look back. Investing in a powerful website tool is a practical way of saving money. No need to start from scratch when we have so many spectacular web design ready and set for you to benefit from. Join the trend by getting Vuesax and make a difference. This Bootstrap admin template is loaded with features that fit any niche, whether you are a novice or an expert. Vuesax includes two niche demos which you can employ out of the box or enhance them by performing customization tweaks. Put easily customizable files to upgrade your website’s visual appeal and have your admin dashboard ten times more organized. Vuesax comes with pixel-perfect graphics, easy navigation, quick search, bookmarks, animations and four workable apps. The tool is compatible with any device and browser for a continuous smooth experience. Get your hands on Vuesax and save yourself time. 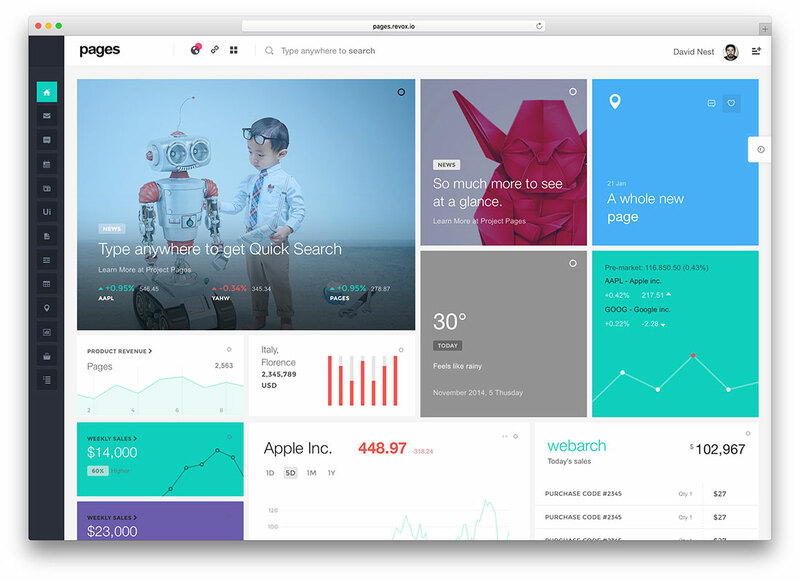 When it comes to Atlas, your designs will be simple and clean, for real. This Bootstrap admin template focuses on minimalist designs, yet ensuring that you still get that professional and spectacular look. Atlas has one hundred page layouts and additional fifty widgets to create the exact web design for your needs. Loads of groundbreaking elements to choose from for establishing the niftiest admin dashboard. All designs exude class and harmony which appeals to the eye of any user. Make the most of your website by utilizing all the spectacular and convenient features of Atlas. You can select between nine demos and alter the one you fancy most to your needs. Atlas also has an ultra-fast loading performance for expediency. Keep your dashboard tidy and easy to skim through with the systematized Atlas. First and foremost, Flat Able is here to deliver the A1 performance in every section of the layout. You have a guarantee that every element, every widget and just about any other feature performs smoothly at all times. Second, web app development. It is in Flat Able’s intention that the process goes flawlessly, yet at the same time is simple and straightforward. Since mobile is only getting bigger and bigger, of course, Flat Able is responsive and retina ready. It makes it look pretty on all devices, smartphones and up to desktops. Thorough online documentation, free updates and cutting-edge support make you feel safe and comfortable on your journey. Do not feel limited in any way, any challenge you face with, you will overcome it in a breeze. 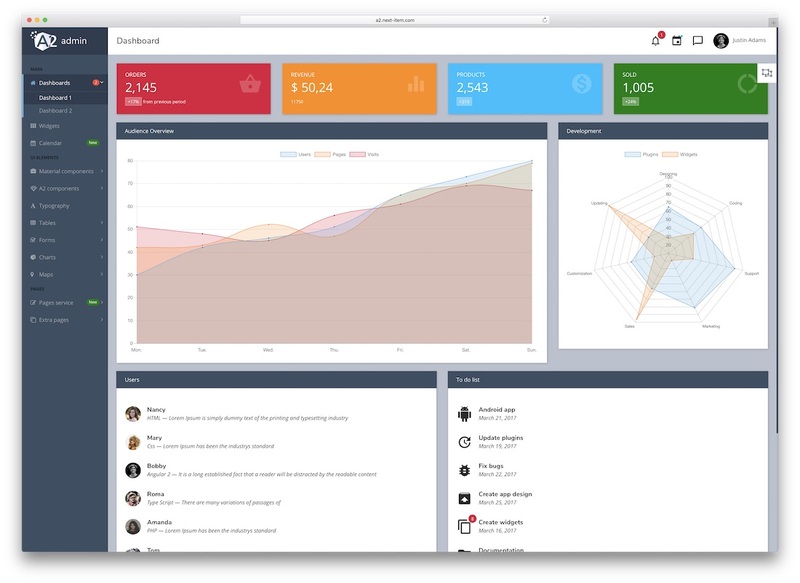 When choosing the ideal admin dashboard template, it is important that it has the capabilities to scale it. Once your online project gets bigger, the admin you are using should handle it without a hitch. It could get very stressful building another, more powerful admin at that time. That said, avoid the struggle and have a solid product ready from the get go. 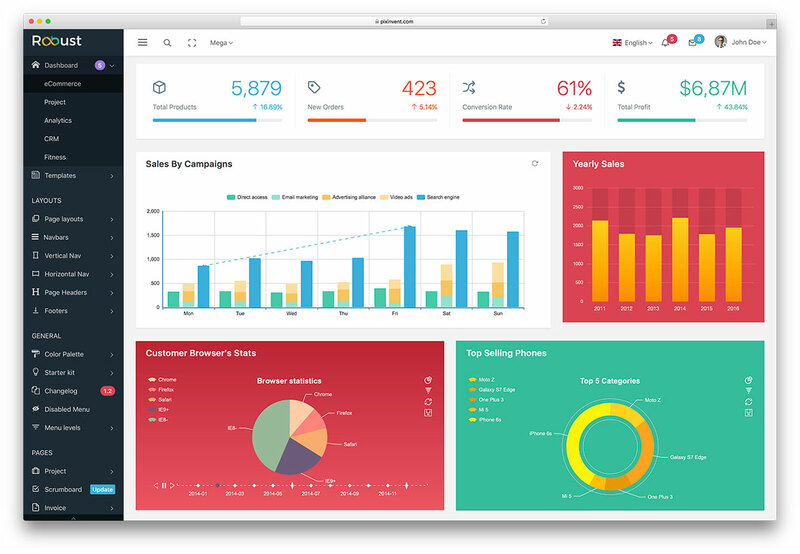 Admin UX is one mighty and extensible website template for establishing the greatest dashboards. Valuable UI elements, responsive layout, web browser compatibility and a ton of pliable components, Admin UX is ready for multiple ideas and projects. In the bundle, Admin UX also has PSD files and the Angular start project. Bring into being the web application with Admin UX and boost your project with it. It will be a pleasure crafting the much needed admin dashboard with Adminox template. In the kit, there are several horizontal and vertical layouts, other needed elements and an entire front end landing page solution. One tool with all the necessities and a whole bunch of other goodies. 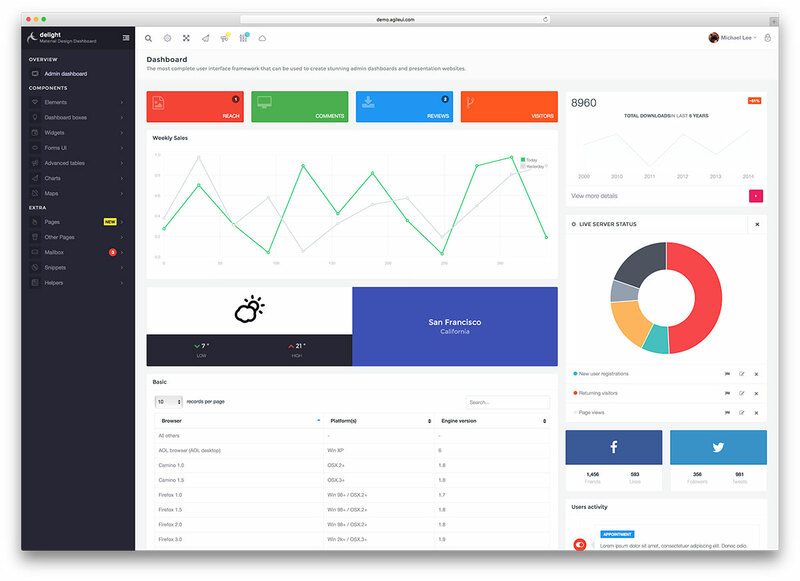 Adminox is a Bootstrap admin template, entirely responsive and ready for any customization tweak you would like to perform. Speaking of which, feel free to tailor Adminox to your specific demand and make it follow your project in its entirety. Lots of UI components, inner pages, icons, graphs, tables and maps, Adminox does not miss a thing. It over delivers but does not overwhelm you with the available. Adminox has the right amount of everything to manage your admin like a pro. Based on Bootstrap Framework, A2 Admin is an Angular 5 admin template that uses Google’s Material Design. Harmonious with all devices and web browsers, a big collection of reusable UI elements and a great deal of other fantastic features. With A2 Admin, you can build any type of project you are in need of. That could mean CMS, CRM, project management system and a back-end of a web application. But that is something you are already aware of. Start with the demo (RTL layout included) and begin editing it per your demand. Incorporate the available material, leave something out and customize what needs improving. Sooner rather than later, you will have a complete and workable admin ready and set to take you to victory. 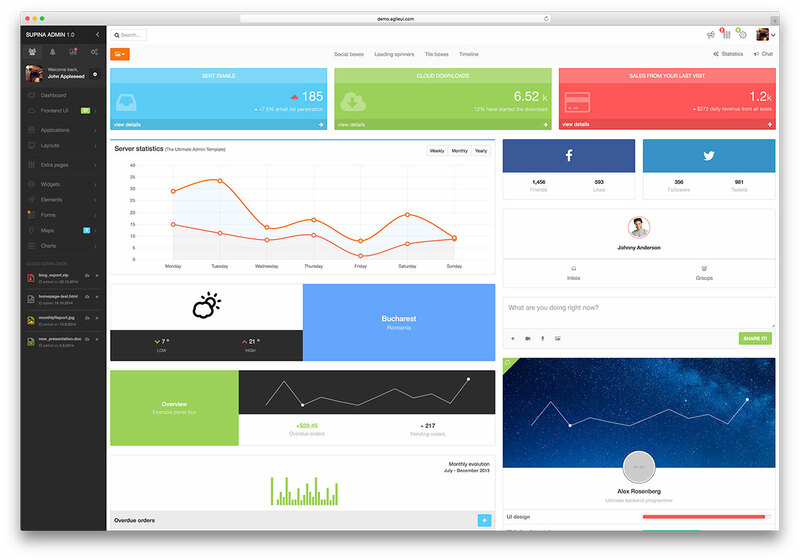 Ample Admin is a specialized web app template made for panels and dashboard improvement. It gives you 7 different demos to chose and many great apps integration. It works great with WordPress themes and all kinds of websites in general. You can add sliders, stylish timelines, media editing options and much more. 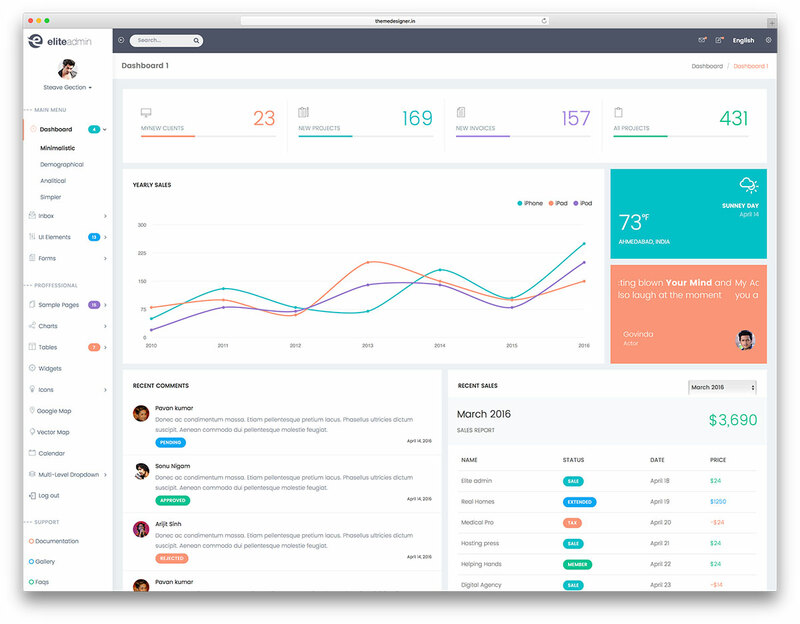 Ample Admin is Bootstrap based and uses all its features to work the best possible. Get stuff like Range Slider, Summernote, and Lightbox completely integrated. You will get 10 awesome additions, among them: a treeview design, a mini sidebar and many custom pages. Ample Admin gives you communication options with e-mail add-ons and a chat app. You will also get lots of widgets and tables, as well as a calendar. Ample Admin uses MegaMenu, Google Maps and +500 IU components. This template is documented and provides support all the way. It is very adaptable and integrates well with other elements. You will get +3000 amazing icons and both HTML and Lessbase CSS3 support! Is there anything more you need? Well, you probably will get it! Try Ample Admin and discover it yourself! Number 1, all browsers compatible, specialized template on panels: Ample Admin! 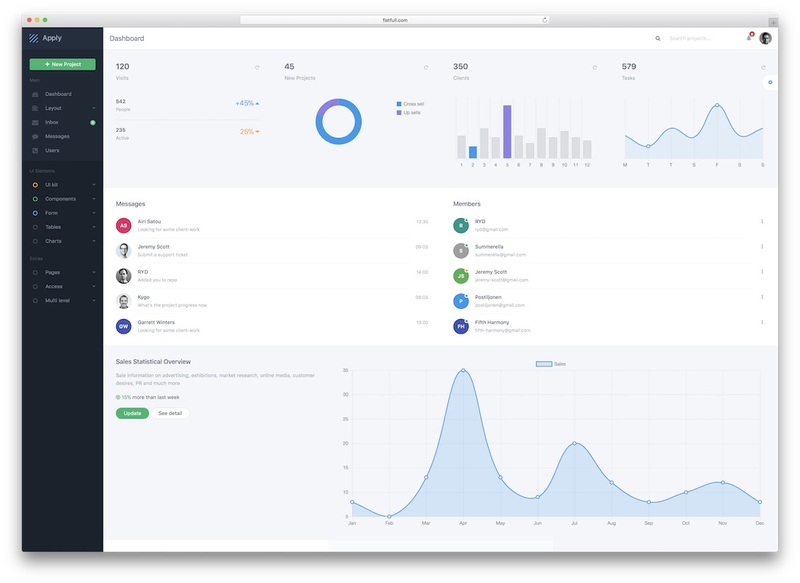 Robust is a Bootstrap 4 based admin panel template of great recognition. It has a Starters kit for all its 7 pre-built templates for an easy start. It also features Jade template builder. This makes layouts to be unlimited and unique. Robust has 7 amazing menus and fast navigation or searching bars. Headers and footers are flexible and customizable. As for Jade builder, it works completely offline in for Windows, Mac & Linux. Robust provides +2500 pages and 5 niche dashboards. Translate texts with its RTL support and compatibilities for other plug-ins. You get to play around with color schemes with its 24 versatile options. To arrange uploads there are three columns manageable with code editor and forms. Robust is essentially multipurpose and adaptable. It can fit any web application and comes with built-in options. It has been integrated with great plug-ins like Google Maps and Font Awesome. You will find it to be all devices ready and mobile friendly. Robust has professional support in addition to awesome video tutorials. It is impossible to get lost! Available are also lifetime free updates, so always expect them. Check out customers comments and it will be hard to hold back! Get this 5 star rated vast and diverse admin template now! Go for Robust! 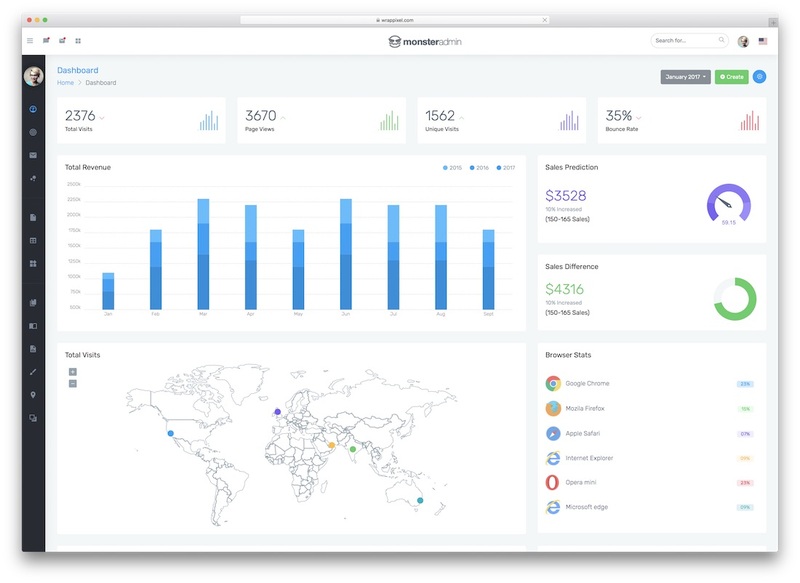 Monarch is our most popular Bootstrap admin template. It is used by many popular databases, SaaS, web applications and much more. This template is mobile friendly and works well on any device you can find in your office or home. Monarch is available as AngularJS and HTML template. This template has dozens of difference chart version included that will make your dashboard to stand out between the rest. This admin template is made by developers for developers to take their project to the next level. 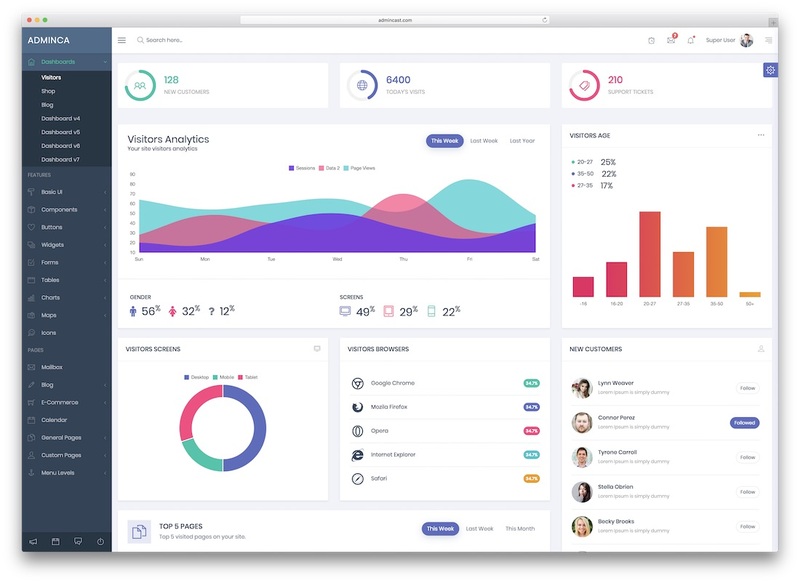 Delight is a premium looking admin dashboard template coded using Bootstrap frontend framework making it fully responsive and mobile friendly. This template is great for all sorts of applications, SaaS, databases, CRMs, ERPs, user dashboard, admin dashboard and so much more. This is among the best selling admin templates and has achieved it by flexibility, library support and outstanding documentation. 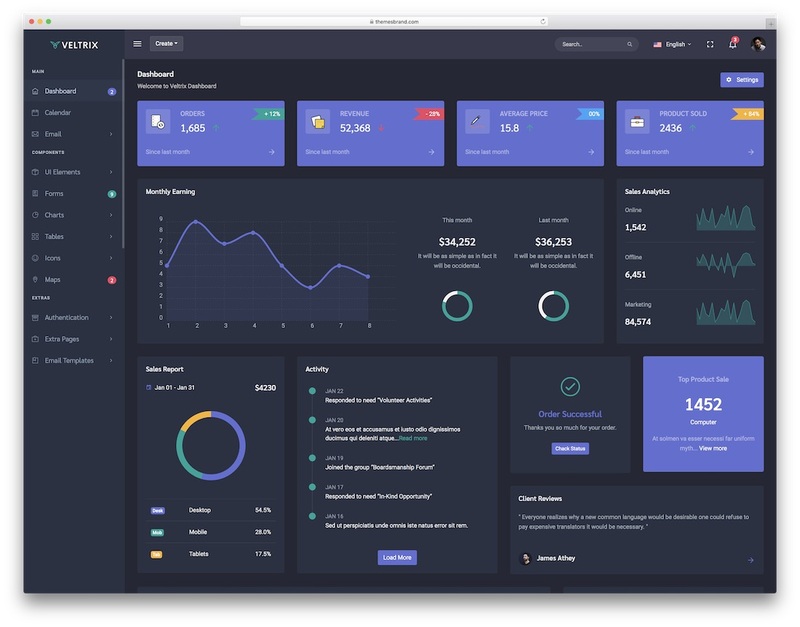 Elite Admin is a sleek and efficient, fast-loading and mobile-friendly, cutting edge and readily responsive premium web app admin dashboard template. The template has been built specifically for developers and webmasters that need a reliable, supple and versatile template that can quickly adjust to a wide range of necessities and broad set of different web applications, such as customized admin user panels, web app backends, CRM or CMS and all similar, related applications. Elite Admin has been tailored to be natively responsive across the board. It helps you produce a highly cross-compatible platform that carries perfectly over different devices, browsers and screen sizes. With tons of diverse chart production options, a helpful and intuitive multi file upload tool, tons of dynamic table examples, form validation tools galore and over 2000 Font Icons, Elite Admin has all the gadgets required to run the show on the modern web and let users tinker and fine-tune web apps in real time, with sophisticated capabilities and a myriad ready to use plugins integrated into Elite Admin for your convenience, from Vector Maps and Google Map API integration to Inbox and Carousels, Elite Admin can do it all. What are you waiting for? Try Elite Admin! Supina is a technologically ambitious and accomplished, sophisticated and very thoughtfully composed, modern and compellingly developer-friendly Bootstrap Admin Theme website template. The tool is a professionally developed and powerfully built Admin side website template. It is based on Twitter’s own Bootstrap modular design, and engineered for precision and thoroughness. Supina includes amazingly powerful features for creating, developing and maintaining a virtual cornucopia of possible websites and web-based applications. 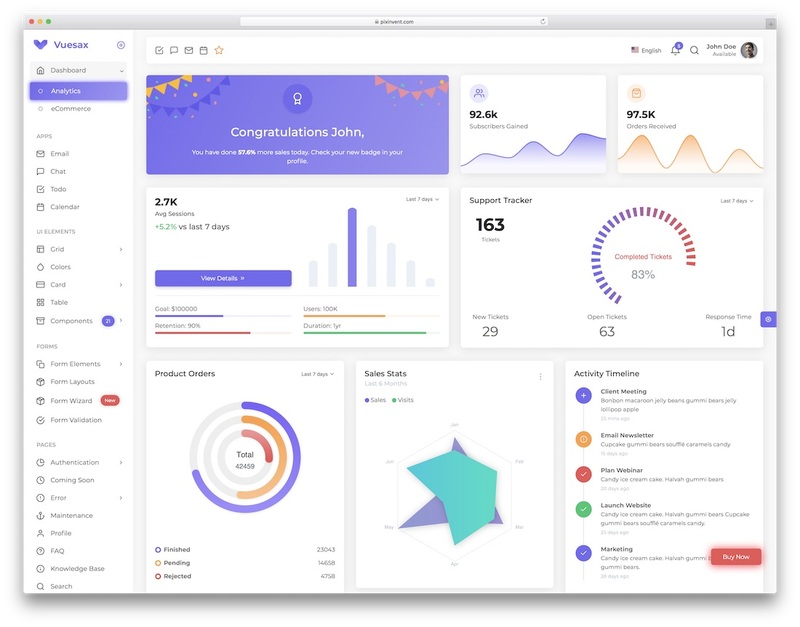 Owing to its agile, supple coding, which is both lightweight and flexible, with Bootstrap’s modular philosophy articulating a widely cross-compatible, developer-friendly and easily expandable framework that is powerful enough to include a full-featured Admin Dashboard with complex analytical capabilities. Reporting as well as seamless ad revenue system integration, e-Commerce platform compatibility across the board and inherent search engine optimization are all part of the game. It comes with beautiful front-end website and page templates, elements and tools that will help anyone build a beautiful, professional quality website that looks and feels right with tasteful layouts and inspired graphical taste, regardless of background or previous graphic or UI design experience. Supina is perfect for developers of all kinds and types working on any sort of project that needs a modern, flexible structure that handles the busy work effortlessly, while affording you limitless flexibility. Give Supina a go! Bratilius is an astoundingly robust and beautifully mobile friendly template. It is a responsive, graphically customizable and very easy to use, unimaginably pliable and remarkably resilient, modular and cutting edge Bootstrap Admin Theme website template. The admin template is a magnificently adaptable theme. Including are a set of templates and tools based on Twitter’s own Bootstrap standard. It incorporates its inherently modular design philosophy into a well-articulated, sleek and resourceful whole. Bratilius specializes in empowering webmasters to create sophisticated Admin panels and dashboards for a diversity of web-based applications. Plus, web-based presentation services and websites of all kinds. Bratilius has been deliberately composed as an all-inclusive powerful Admin Theme. It is capable of managing demanding, modern web applications and tasks, as well as sleek and seamless templates for you to effortlessly put together handsome, attractive, professional grade front-end user interfaces. Comprehensive, functional pages that are easily and swiftly customizable to suit your graphical and branding needs. 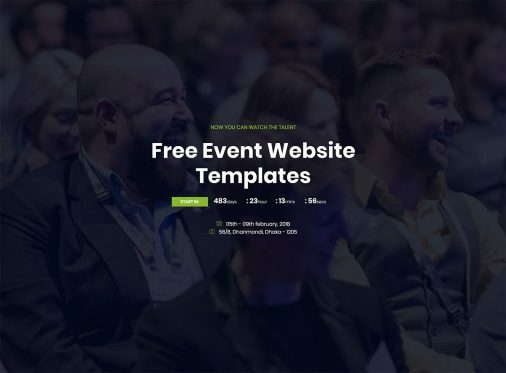 It is also well-suited for handling cutting edge web-based presentations, making it a capable Admin Theme template for business and corporate web-based presentations and application. With flexible modular coding compatible, any element or component you can integrate into Bratilius in a breeze. Bratilius is strong, well-rounded, and business-oriented–are you ready to take your projects up a notch? Staying true to its name, Limitless is a modern Web Application kit that can revolutionize your online presence. This admin template is clean and highly versatile, given that it is based on LESS and Bootstrap. The main layout variation has 3 alternative versions. Limitless has over 1000 components with multiple options and features. In total, more than 100 plugins are part of the kit, offering to expand any page’s capabilities. With this professional admin template, there is no limit to what your online business can achieve. You will benefit from a Starter Kit, which incorporates useful blank pages for further customization. Limitless is fully responsive, capable of showcasing elements on hand-held devices such as Smartphones and Tablets. If you are a coder, your workload has been greatly reduced. Every file will have an associated piece of code, making it easier for you to find and edit it. The download will incorporate minified and normal CSS files, which are LESS-compiled. The entire panel will be completely translatable, allowing the user to choose a main language, and a fallback language option. In addition, a language detection function was incorporated. Modify and customize headers and panels easily, in order to meet the site owner’s needs. The administration panel will be the heart of your website. 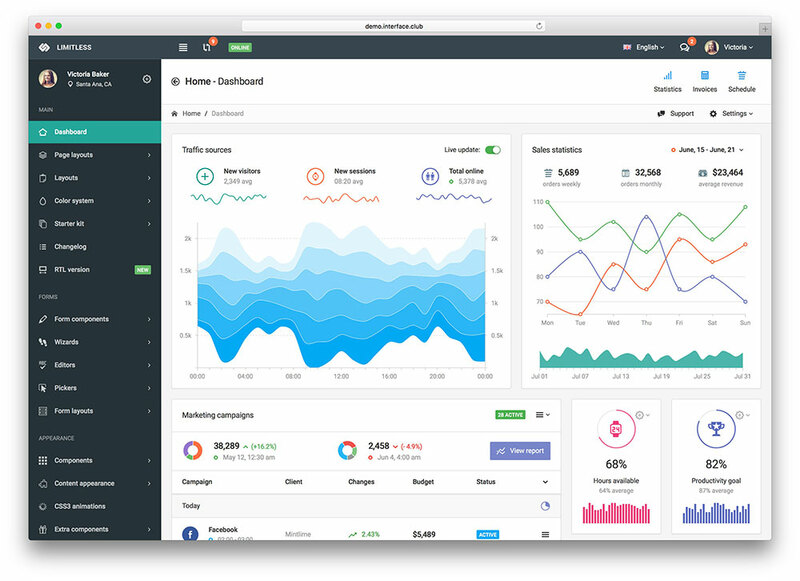 Slant is a gorgeous, modern admin dashboard theme which was constructed using Bootstrap and the versatile AngularJS framework. Upon implementation, it can enhance and improve your page administration panel, giving it an elegant and unique look. In the modern age, speed is everything. Readers and customers will avoid sites with slow loading speeds, as they seek to optimize their browsing experience. Thankfully, Slant has implemented a Lazy Loading function. Also known as a dynamic loading function. This setting allows the user to designate which site components will load when the user reaches it. By eliminating the need to load non-essential components, the overall speed increases. After you purchase Slant, every customer will benefit from free theme support for 6 months. Your premium admin dashboard is responsive towards mobile devices, eliminating any compatibility issues. You can make changes while the administrator is on the move, increasing your page’s versatility. A Calendar, Mailbox and Chat API function are at your service, in addition to some practical and user-friendly widgets. 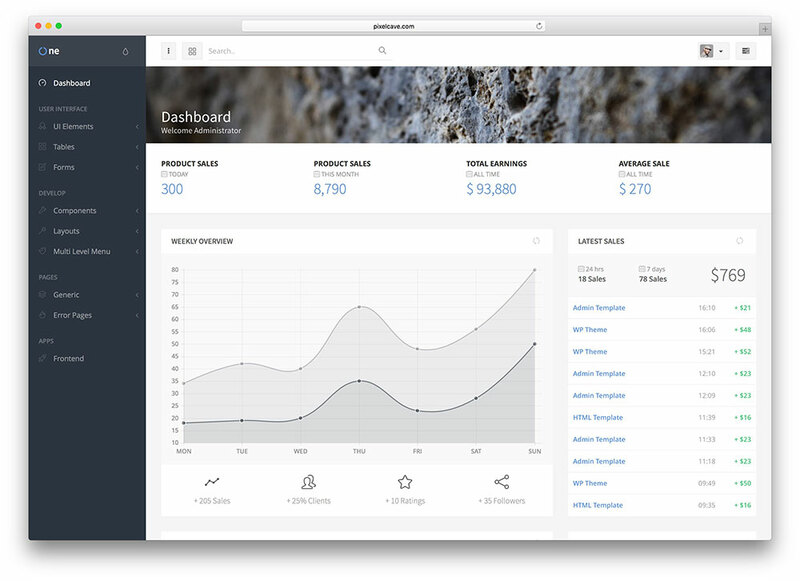 Slant has multiple chart variations, and a series of beautiful layouts options. For more information, be sure to check out the live preview. OneUI is a highly adaptable UI framework that was constructed using Bootstrap. It allows users to design their site’s frontend and backend sections, while using a single powerful and fast layout. Its design is simplistic and streamlined. With OneUI, you can get the job done in a matter of moments. This technological marvel was constructed from the bottom up, taking into account customer feedback. Years of experience and valuable advice has shaped this product into something special. You can ise OneUI for both apps and websites, and it works perfectly on any platforms, device or browser. Compatibility issues are completely eliminated. 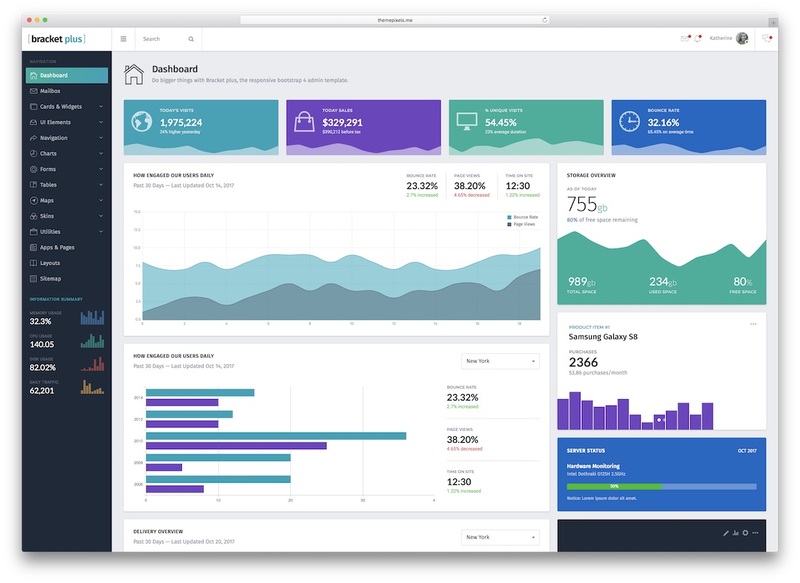 The layout is very powerful, as customers can design incredible dashboards by taking advantage of some reusable UI elements. Constructed with LessCSS, this product has a completely modular and user-friendly design. Customization is very easy, given that everything is where it needs to be. Slow loading times are the primary cause of user dropout rates. Thankfully, you will not alienate your loyal followers, as OneUI is lightning-fast. Watch your well-written posts come to life, thanks to the new blog pack. In addition, the forum pack facilitates the implementation of some exquisite forum pages that perfectly match their site’s theme. 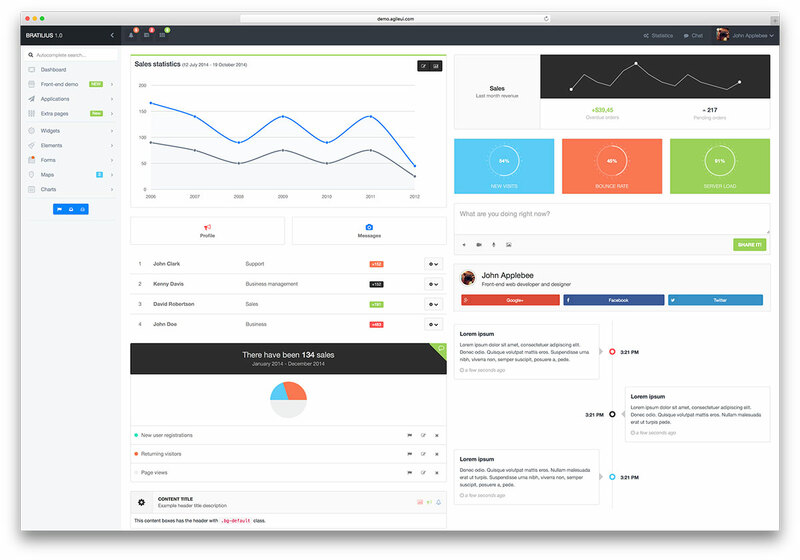 For those who are searching for an excellent admin UI theme, Ultra Admin is an ideal choice. 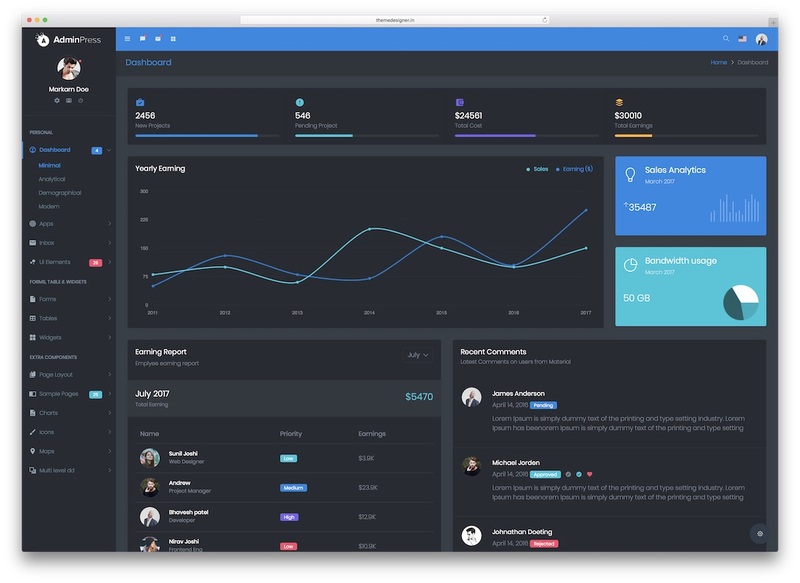 This amazing product can enhance your admin panel with its elegant and unique look. Users will find it easy to personalize it, given the accessible and well-written code. This admin panel is entirely responsive, capable of working with mobile devices such as tablets and smartphones. 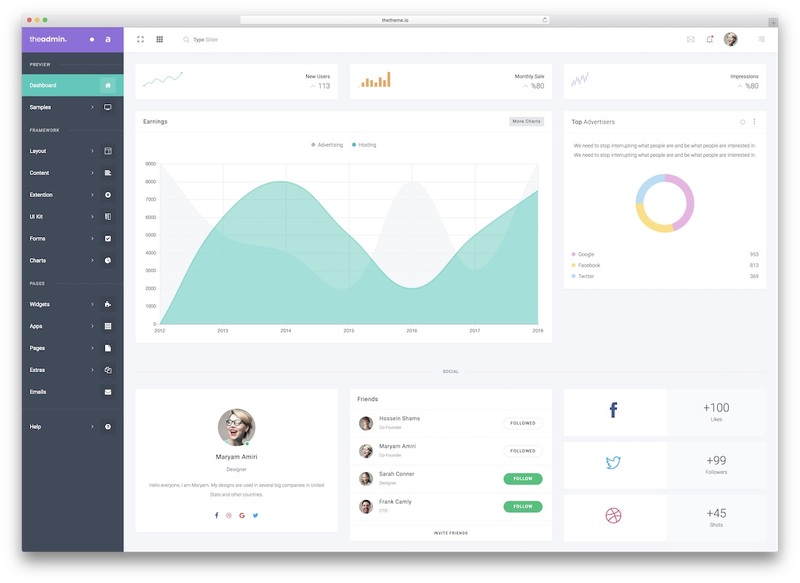 Ultra Admin uses Bootstrap Framework, jQuery, HTML and CSS3. It incorporates some of the best trending plugins, and it has many reusable UI elements. You can implement this product for any type of web application or product. The large number of plugins was spread across 65+ distinct HTML files. The interface is very clean and elegant, resulting in a pristine browsing experience. The highly adaptable Menu represents a very important Ultra Admin feature, what gives it the ability to reduce its size when the screen is cluttered. This product has a fully-functional chat API. You are able to open multiple chat windows at the same time. Of course, a mailbox function was incorporated, along with many widget variations. For more information regarding Ultra admin and its features, be sure to access the interesting live preview. As they purchase Clip-Two, customers can benefit from two distinct themes: Clip-Two Admin RTL Version, and Clip-Two Admin. With AngularJS, you will be able to develop your application and improve your HTML vocabulary. This will result in a very readable, expressive and user-friendly environment. Specifically for Clip-Two, an exclusive AngularJS chat directive is ready to use. For languages with right to left writing such as Arabic, Hebrew, and Japanese, a RTL version is available. Your app will reflect your culture. When it comes to speed, this is one of the fastest products on the market. It features lightning-quick loading times, resulting in a pristine browsing experience for any user. In terms of customization, there are 6 beautiful color schemes. Also, you can benefit from infinite styles with Sass. 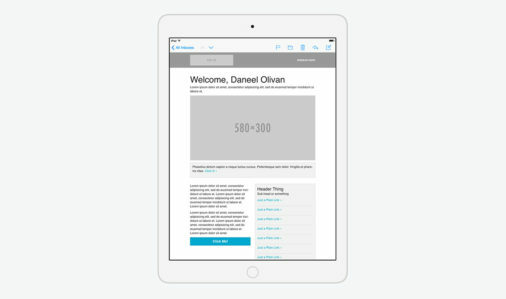 It supports touch Swipe capabilities, and there are more than 40 unique page templates. 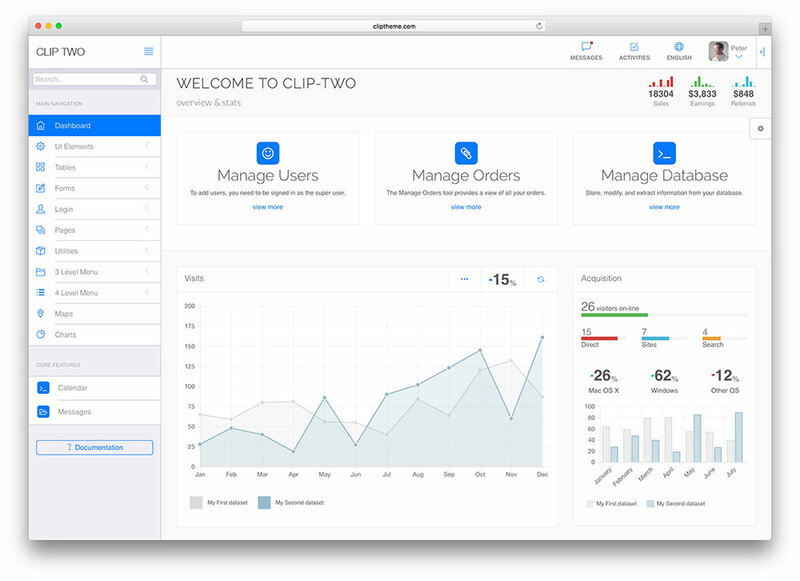 For more information regarding Clip-Two and its features, be sure to check out its live preview. In case you are looking for a free Bootstrap admin template then we have got you covered and you can find some great examples here and here. Thank you so much for the awesome bootstrap admin templates. I used Clean UI Admin Template — lightweight, clean and fast. Highly recommend checking this out! 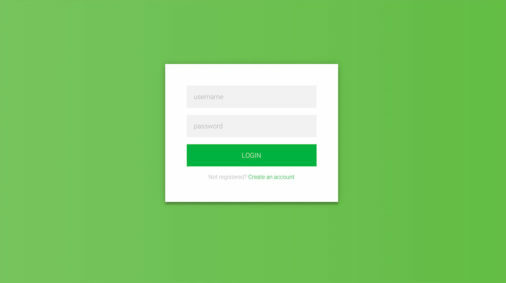 You used Clean UI Admin Template with React? Did it work well? Hello, guys, thank you for sharing this fantastic admin template list, it helps me a lot. With a use of Monarch, I can get my admin in no time with elegant design. Thank you so much for these templates.